Overall, it's been a successful six-week guiding season here in the Pacific Northwest. With five summits of Mt. Rainier (and two other attempts), two of Mt. Baker, and one each of Mt. Shuksan, Mt. Adams, Mount St. Helens, and Mt. Hood, as well as a week of alpine rock climbing with snowy approaches on Washington Pass, I'm ready to hop in the ole Tacoma and make my way back home to Colorado. 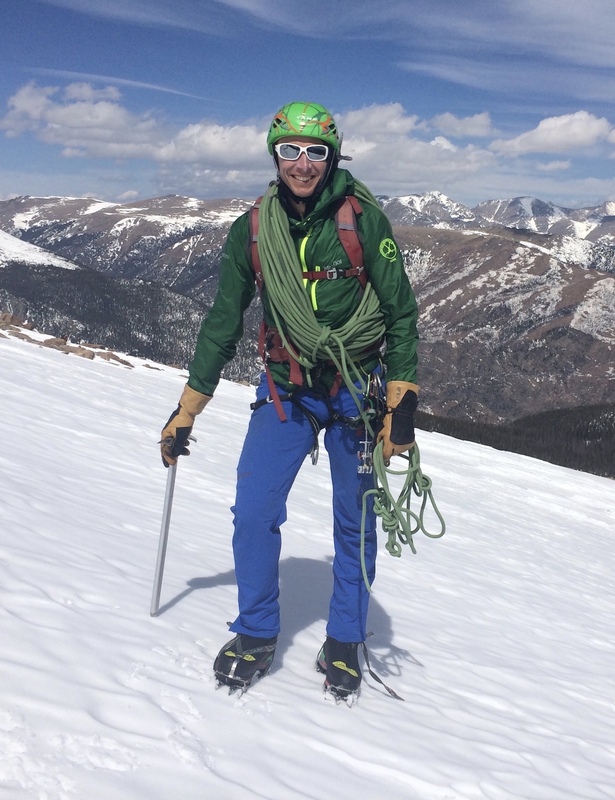 With another week of ice and alpine climbing in Rocky Mountain National Park prior to the 39 days of mountaineering in Washington, I was able to get a good sense of the Boreal Stetinds—their positive attributes and their unfortunate negatives. Boreal, a Spanish-born climbing shoe and boot company, named this boot after Stetind, Norway's "national mountain," known as a place to climb and hike, and as a coastal landmark for sailors. Boreal markets their Stetind as a lightweight, technical ice and alpine boot with an integrated gaiter. 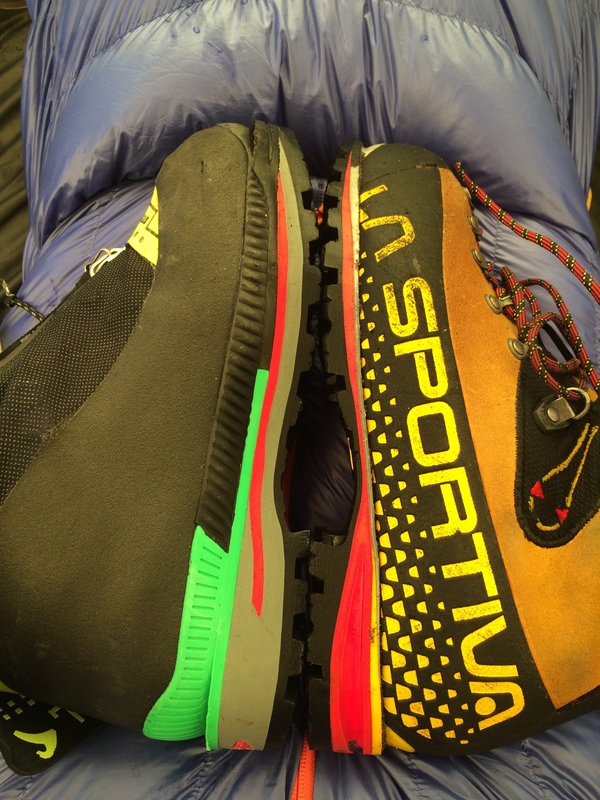 The Stetinds most closely compare to the La Sportiva Batura 2.0 (now called the G5 with a few changes to the design), the Scarpa Phantom Guide, and the Arc'teryx Acrux AR. This type of boot has established itself on the technical mountaineering boot continuum between the traditional single-layer leather boots such as the La Sportiva Nepals or Scarpa Mont Blancs, and the lightweight double boots such as the La Sportiva Spantiks. This zone of the boot spectrum is characterized by nifty lacing systems for the ease of gloved hands, a lighter and warmer boot than the traditional leather options, and incorporated gaiters that offer waterproofed feet without the need for the separate, pseudo-out-of-fashion knee-high gaiters. The reader can assume from the number of stars I awarded the boots—two—that I was not impressed. The reader would be correct in this assumption. To be fair, the Stetinds have some redeemable attributes and can serve the right situation well, such as high-altitude treks. But for technical alpine and ice climbing, I would not recommend these boots to anyone. This is unfortunate, because my first pair of rock climbing shoes back in 1992 were the Boreal Aces—so Boreal's products hold a fond place in my heart. The Stetinds were very comfortable, though I removed the factory insole and added my own (which I do with all boots). The lacing system only took a couple of attempts to figure out, and once I had it, I found myself less resistant than usual to popping the boots on or off when having to crawl into the tent for something I'd forgotten or out of the tent to hit the head or take hot water to my clients in a cold and windy storm. After thousands of post-holed steps in soft, wet snow, multiple snow schools involving lots of sliding around in that same soft, wet snow, multiple creek crossings, and hours of walking in rain and wet snow storms, my feet never once got wet. The synthetic gaiter, versus a more traditional boot's leather outer, was relatively durable. There are no crampon slices, though I definitely caught my crampons more times than I can count. The only wear on the gaiter was from minor abrasions after jamming my boots into cracks on the Beckey Route on Liberty Bell, and fading from the daily wet-dry cycle of climbing and camping in sun and snow. In comparison to the La Sportiva Nepal Cubes, a popular single-layered leather boot, the Stetinds were warmer. On many occasions, I wore one of each and noticed my toes were feeling a little chilly in the Nepals while my other foot was toasty in the Stetinds. This is one of the main pros of boots with integrated gaiters. The Stetinds (1734 grams) are also lighter than the Nepal Cubes (1788 grams), but only by 54 grams, or slightly less than two ounces. The La Sportiva G5s come in at 1714 grams and the Scarpa Phantom Techs at 1630 grams, 3.5 ounces lighter than the Stetinds. The Stetinds get two stars for one main reason: they are the most unstable boots I have worn in over 25 years of climbing. On multiple occasions, I said to myself, "This isn't worth it—I'm risking an ankle injury. I'm not wearing these any more." I kept at it and relied on my historically strong ankles to get me through the period of research I needed to write the review, but looked forward to getting my other boots back on my feet as soon as possible. Although I'm not a shoe designer or expert, these are the factors I came up with that play into the Stetind's instability: 1) the boot materials around the heel and ankle are soft and fold easily in the hand with little effort. To get some objective data, I stopped by the iconic mountain shop at the base of Mount Rainier in Ashford, Washington—Whittaker Mountaineering. Shop employees Quinn and Jon helped me compare the Stetind alongside the La Sportiva Batura 2.0 and the Scarpa Phantom Tech. I could fold the heel of the Stetind over with my thumb, while Quinn and Jon could only get a partial fold at the ankle (see photo). 2) When I slid my foot into the Stetinds, my heel rested higher off the ground than in the Baturas/G5s. This higher center of gravity was very noticeable, especially when I was wearing crampons. At times when walking downhill, I felt like I was back on my alpine touring skis skinning downhill with my low heel risers on. Yikes. 3) The interior of the Stetind is enormous and unsupported. This is not the boot for folks with narrow, low-volume feet, or maybe even high-volume feet. My feet are somewhere on the low-volume end of the spectrum. I was aware of this factor when trying this boot—so I compared the fit to the top brands, and asked a fellow guide to try the boot as well. 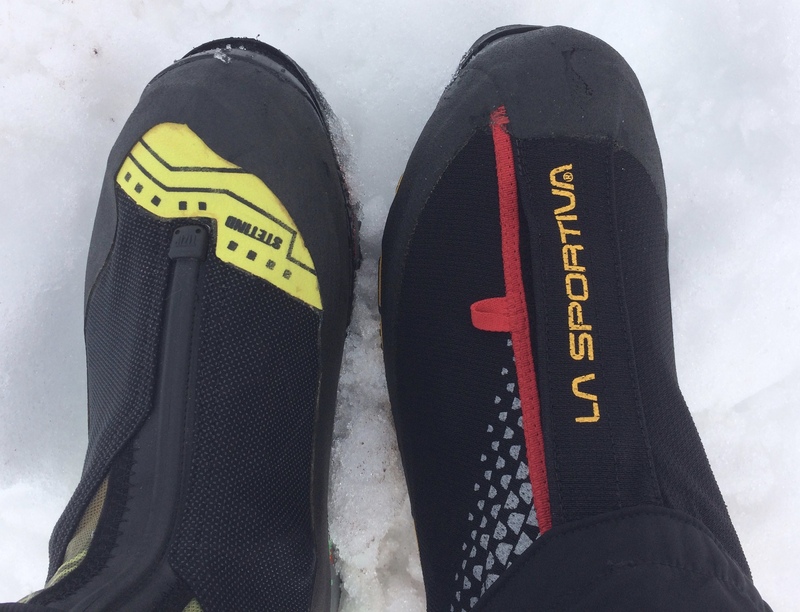 When I was trying on La Sportiva G5s and Nepals and Scarpa Mont Blanc Pros, my heels felt noticeably more cupped and held than in the Stetinds. When I walked in any way that put the boot at an angle, my heels slid from side to side. My ankles had to work very hard to avoid rolling. I also had to pay close attention to avoid developing blisters under my heels, which I never get in other boots. The La Sportiva Nepals come with an extra removable tongue to fill the boots for lower volume feet or for a tighter fit when climbing technical terrain. I wore one of these tongues in my right boot (Stetind) for a few weeks and noticed a slight decrease in the extra space, but in the end, my feet were swimming in both boots, far more than my feet do in Scarpa Mont Blancs, which are known for being the boot for folks with high-volume feet. My fellow guide noticed everything I was noticing and more—it was he who noticed that the height of the heel was part of the cause of the ankle roll. 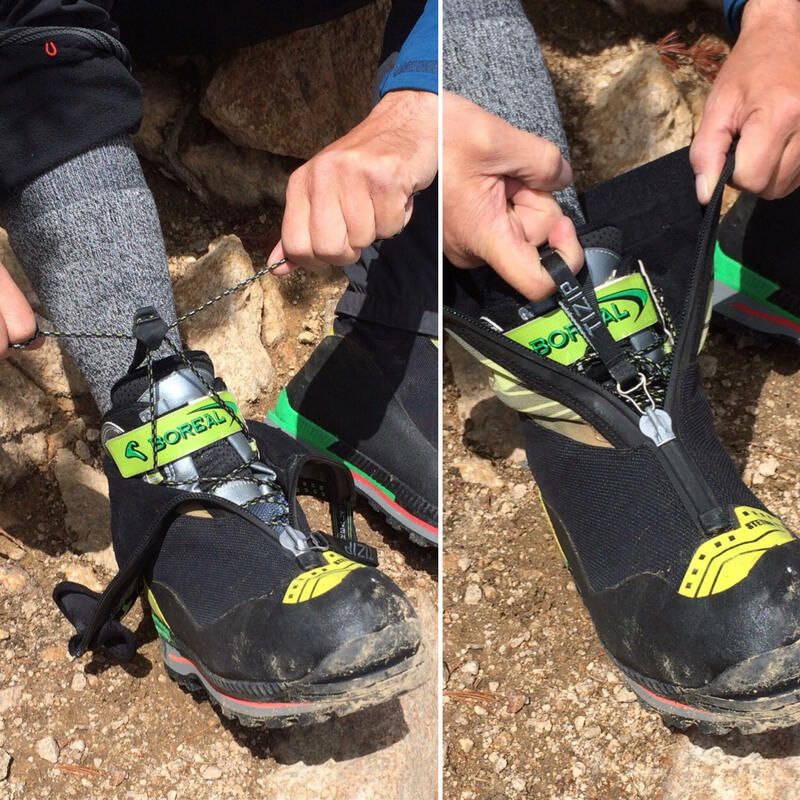 Added to the Stetind's list of negative attributes, the toe welt for automatic crampons extend further than their competitor's boots and as a result, make the sole of the boot longer. 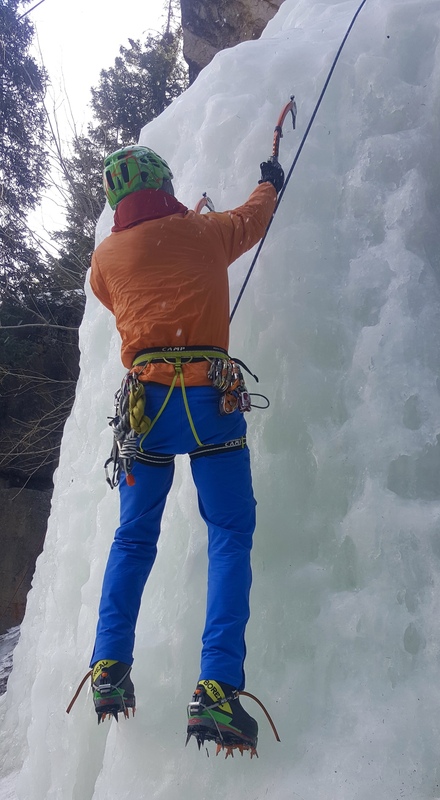 This adds more boot to the boot, making it heavier than necessary, and more importantly, it creates more leverage when front-pointing during ice climbing and steep snow climbing. My Stetinds were the same length of my co-guide's La Sportiva Nepal Cubes—I wear a 43 Euro in the Nepals and my co-guide wears a 45. I looked at the Baturas, Phantom Techs, G2s, Acrux ARs, and all of them position the edge of the toe box directly over the toe welt, not behind. Will I wear these boots again? Yeah, probably. Because they are a comfortable and warm boot, they would be a good boot for high altitude treks, such as some of the high, dry mountains in Chile and Argentina where there is little climbing and mostly walking on trails. A competent, fit climber might choose this boot for the walk-up routes on Aconcagua. Ultimately, Boreal will need to beef up the ankle and heel support and shorten the length of the boot to compete with their top competitors. Mike Lewis, M.A. 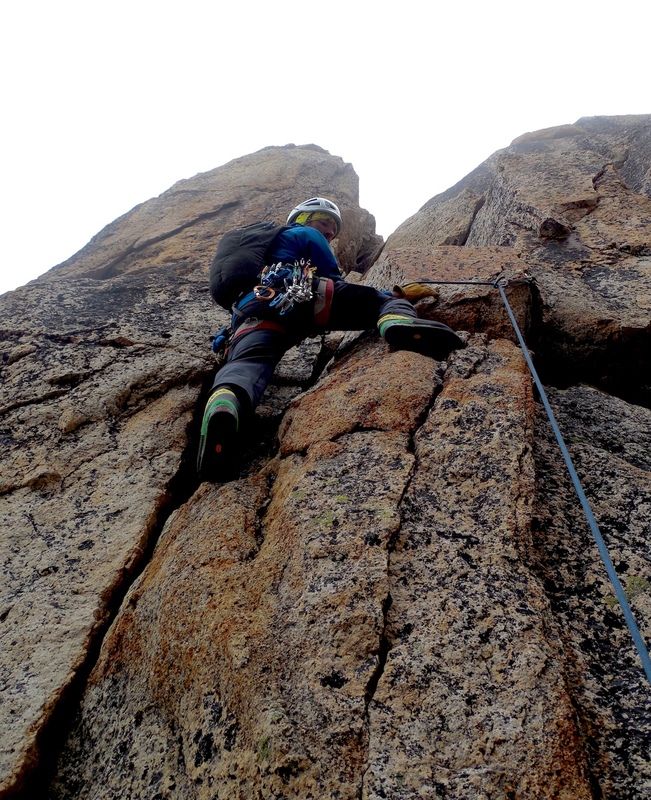 is an IFMGA/AMGA Licensed Mountain Guide living in Estes Park, Colorado. He has been guiding and instructing for 25 years throughout the U.S. and internationally. Learn more about Mike at lunchboxjackson.com.